Tired of being passed all the time or outdistanced, a few racers have become more aggressive in their driving. Some thought it was dangerous and unsportsmanlike. The race officials, however, thought it was perfect. Now an aggressive foot on the gas could be evenly matched with an aggressive hand on the wheel. Victory is given to the driver who not only drove the track better than their opponents, but avoided its dangers, too. Start your engines, tighten those safety belts, and check your helmets! It’s going to be a bumpy ride! Dicey Curves: DANGER!, by Matt Worden Games, is comprised of 8 Joystick pawns, 25 Danger chips, and 36 Danger cards. To play this expansion, you must have the base game, Dicey Curves. Note: This expansion works best when playing the game using the “Mystery Rally” rules for track set up; however, the expansion can be used regardless of how you want the race track to be created during your game. The only change to the Mystery Rally set up is to have 4 Track cards showing at all times instead of 2. It is assumed you are familiar with Dicey Curves and have read the base game set up. Once the base game is set up, have each player select a Joystick pawn that matches their Car pawn color. The Joystick pawns are placed in front of the player and will be used to keep track of damage that will surely be inflicted. Next, shuffle the Danger cards and deal to each player 2 cards, face-down. The players are welcome to look at their cards but should keep them hidden from their opponents at all times until played. The remaining cards are placed face-down to create the Danger card draw deck. Leave room next to the draw deck for a discard pile. If the draw deck is ever depleted, simply reshuffle the discard pile to create a new deck. Lastly, place the Damage chips in a pile and within easy reach of all the players. You are now ready to race, where the competition just got a lot more dangerous! The Danger cards will modify the difficulty of the track by making curves more dangerous, close lanes, and add debris. Danger cards can also be played to provide a repair shop or send a car speeding ahead with a reckless nitro boost. In some cases, Danger cards can be used to temporarily make a racer more cautious and force them to roll 1 less dice out of fear of possibly hitting an animal on the side of the road. In other words, the Danger cards adjust the two most important things to a racer: speed and control. While speed is meant to hurl the car forward and across the finish line, damage will reduce the car’s overall performance. If enough is dealt, the car won’t be very useful. Damage is inflicted through the Danger cards, be it by the track or instantly by an opponent. Damage can be repaired by playing Danger cards that remove damage, ending a turn with the card in a repair shop, or trading in 2 green Control Chips to remove 1 Damage chip. Damage is kept track of in the game using the Damage chips. For every 1 Damage chip the player has, they roll 1 less dice. The Damage chips are kept next to the Joystick pawns so the player can always see how much damage their car has suffered. This is particularly useful when a player is managing 2 or more cars at once. By keeping the Damage chips attached to the matching colored Joystick pawn, a player can quickly see how busted up their ride is. At no time can a player have more than 3 Damage chips on their car. The maximum number of damage any car can take is 3. Any additional damage is simply ignored. Damage does not limit the maximum number of dice a player can roll. The Damage chips only remove the initial dice to be rolled on a player’s turn. For every “6″ rolled, the dice can be re-rolled and an unused green six-sided die added, if available. In the game, this is referred to as “exploding dice”. The player continues to roll the dice, adding green dice if necessary, until all the dice rolled have a value of 5 or less. Damage chips do not influence or removed these bonus dice. This is an optional action. It allows the player to discard their Danger cards at the start of their turn. This completes the player’s turn. On their next turn, they will first draw 2 Danger cards and then complete their turn as normal. The new Danger cards the player draws can be played immediately if applicable. 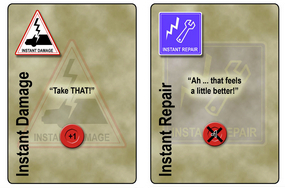 Danger cards that have the keyword “Instant” on them can be played at anytime, be it during the player’s turn or not. To do so, the player announces the card they are playing, shows it to the players at the table, and then completes the action stated on the card. For example, a player can play the “Instant Danger” Danger card (yes, redundant) on an opponent, forcing one point of damage to their opponent’s car. Timing should be carefully managed when playing Instant cards. Several of them can be played in a row and by multiple players. Other than the Danger cards with the keyword “Instant”, the Danger cards can only be played BEFORE the current player rolls the six-sided dice and when the game conditions allow for it. For example, a player can use the “Super Size Your Combo” Danger card only when the player rolls combos with the six-sided dice. Once a Danger card is played, it is discarded and the player immediately draws another Danger card to replace it, which can be played immediately if applicable. If a Danger card is attached to a Track card, the player still draws a new Danger card, but the Danger card is not sent to the discard pile. Instead, the Danger card remains attached to the Track card and only goes into the discard pile once the Track card is removed from play. Only one Danger card can be attached to any Track card at anytime or in-between two Track cards (referred to as “gaps”). 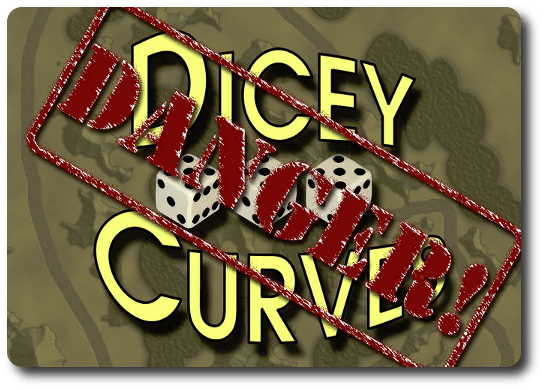 To learn more about Dicey Curves: Danger! and read the full rules, visit the game’s web page on the Game Crafter. 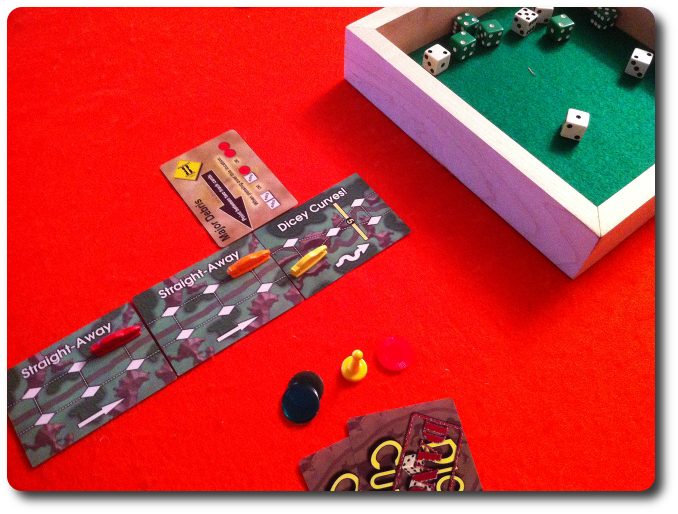 Dicey Curves is a fast and fun race game I can take anywhere. The entire game fits inside a small cloth sack and takes little space to play. Whenever my family stays overnight at a hotel or at a friend’s house, Dicey Curves is one of those game that I usually pack in case a quick game is needed. It’s also a game that is easy to teach and simple to play. The simplicity in the game play masks the depth of thought a player must use to be competitive This expansion looks to add just another layer to the cake. But will that layer be tasty? Will it crush what is already there or simply be so much fluff haphazardly spread on top? Usually, one can only answer these questions when the expansion is played with the base game, but I predict goodness before it is even on the table. Why? The designer, of course. Matt Worden crafts his games with an eye for balance and completeness. If he is adding an expansion for this game, it can only mean he has found a way to not only expand, but extend the game’s depth and enjoyment. Adding the expansion to the base game is zero effort. Simply add and shuffle the Danger cards, explain their use, and go. For those who are already familiar with the base game, the additional cards and actions were not that difficult to comprehend or juggle. None of the players from our test groups shrunk from the idea of being able to be a bit more aggressive with their driving, either. In fact, all but one non-gamer beamed with joy when I told them they would be able to damage their opponent’s cars. The non-gamer who wasn’t excited by this prospect was concerned that the damage would be a distraction and take away from the experience of the race. I told him the only way to find out for sure was to play it. For the Child Geeks, and specifically my little geeks, the new Danger cards were very well received. The Child Geeks rather liked the idea of slowing their mom and dad down with a fender bender or two. Teaching the new expansion to them took slightly longer than it did with the Parent and Gamer Geeks. It also took a few of the Child Geeks out of the picture because of the additional level of reading required. Any Child Geek who could not read had to either team up with another player who could or go play another game. Most decided to make teams. The only questions they had, in regards to the expansion, was card timing. I took my time here so they all felt comfortable playing the game and the cards. Once I was satisfied, and the Child Geeks felt confident, we started to play. But, as tradition dictates, I asked the Child Geeks their thoughts on the game so far. The racers are in their cars, the engines are hot, and the flag is about to drop! Let’s see if this expansion makes the race more entertaining or simply more annoying. The expansion was very well received by all three of our test groups: Gamer, Parent, and Child Geeks. 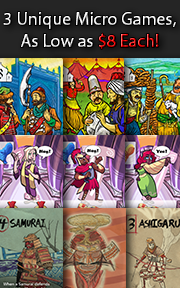 These groups already approved of the base game and found the expansion to add just the right amount of player “take-that” without removing any of the needed strategy and tactics included in the base game. In other words, it complimented the base game and allowed the players to drive more aggressively, forcing them to be smarter and more reserved behind their virtual wheel. More times than not, however, “speed” was trumped by “caution”. And that was something I was not expecting. The expansion made some of our races longer because the players were more careful. Before hand, one need only balance risk vs. reward and push their luck with the dice, managing the difficulty of the course by managing their car’s speed. Now opponents could impact a player’s ability to control their car and some players preferred to play it safe. Taking damage, it appeared, was the worst possible thing to happen to a racer. None of the players wanted it and they traded in their Control chips like they were going out of style to avoid it. Speed was replaced with a heightened sense of defensiveness, more times than not, and the aggressive nature of some of the players was suppressed by their acute sensitivity to loss of vehicle control. A quick shot of a game in-progress – the race can be fast and intense when you are being ganged up on! For the Gamer Geeks, this expansion allows for longer and more interesting races. This expansion really is best played using the Mystery Rally and makes a race normally focused on speed and skill into a very passive aggressive affair. Much like the dreaded fear of the “Blue Shell” in Mario Kart, the lead player was constantly looking over their shoulder, waiting for the Danger card to be played on them. What the Gamer Geeks liked most about the expansion is that it didn’t unbalance anything. The Danger cards added new tactics and allowed for more aggressive driving. This made each race a bit more nail-biting and a lot more energetic. More thought was put into each roll of the dice and the Danger cards were used brilliantly in some cases, and in others, blatantly played to just mess with a player. Parent Geeks also enjoyed the expansion and thought it complimented the base game very well. Expansions are something of a “new territory” for this test group, as they often times are unaware that a game has additional parts to it. They are just now becoming familiar with the pros and cons of a game expansion and had nothing but good words for this one. They found the expansion to be a neat way to add a bit more risk and reward, with the additional benefit of having more player interaction during the race. Best of all, they liked how easy it was to include or exclude the expansion at the drop of a hat. The expansion game bits are easy to distinguish from the base game bits and can be just as easily ignored as picked up and included in the game with only an additional 30 or so seconds of set up. Child Geeks didn’t know what to make of this expansion at first. When they used the Danger cards to harass their opponents, they loved it. When the same Danger cards were played on them, they would get mopey. Once they learned that the Danger cards could hinder and harm not only their opponents, but also them, they started using the Danger cards in a much more serious manner. Instead of playing them on parents and sibling “because they could”, they started to hold back and only use them when they thought an opponent was getting a bit too close or a bit too far away. The Child Geek group grew to love the expansion and now consider it part of the base game, despite me saying otherwise. Interesting enough, I didn’t think Dicey Curves was lacking anything game-wise when I played it. It was fast. competitive and made you think. Strategy and tactics were needed, as was a sense of timing, measuring risk, and having a pinch of luck. But even luck was not necessary, because you could adjust the dice and your driving to changing conditions. With the expansion, some of that was thrown out the window. That’s because the base game very seldomly had players conflicting with each other unless one was blocking another player’s progress. With the expansion, opponents were now a threat regardless of their position on the track. I must admit that this somewhat concerned me at first. I didn’t want the expansion to simply cause “problems” that a player couldn’t avoid. I was relieved to see that a player who was constantly being “picked on” by their opponents could still manage to win the race. The Danger cards do add the ability for opponents to influence other players from afar, but stops well short of actually making any player a bad driver or any vehicle undrivable. This greatly pleased me. The one downside to this expansion is the additional level of reading needed to play. Players must be able to read and understand what each Danger card can do. The base game doesn’t require any reading at all. For my 5-year-old, he was unable to recognize enough of the words to play with the expansion and needed to be on a team. My 8-year-old had no problems. With all of the Child Geeks we tried the game expansion with, if they could read, they could play. Including this expansion in your game shifts our recommended minimum age of 4 (just the base game) to 8 (base game with expansion). The expansion is worth it, though. Oh, so very worth it. I share the Child Geek’s opinion regarding this expansion as becoming a permanent addition to the base game. After playing with it several times, I cannot imagine playing the game without it. Funny how we sometimes don’t know what was missing until it is graciously presented to us. With the additional player interaction and track manipulation, the game has become more difficult to win without becoming more difficult to play. It renewed my interest and eagerness to play the base game, as well as finding new opponents I could trash talk to while I trashed their car. If you are a fan of Dicey Curves, this expansion is a good one to add. 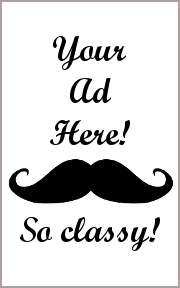 It will most certainly enhance your game play experience and pleasure. Tagged Father Geek Approved, Game Expansions, Gamer Geek Approved, Parent Geek Approved, Racing Games. Bookmark the permalink.